Published Author for Martingale & Company "A Cut Above" released Fall 2013. 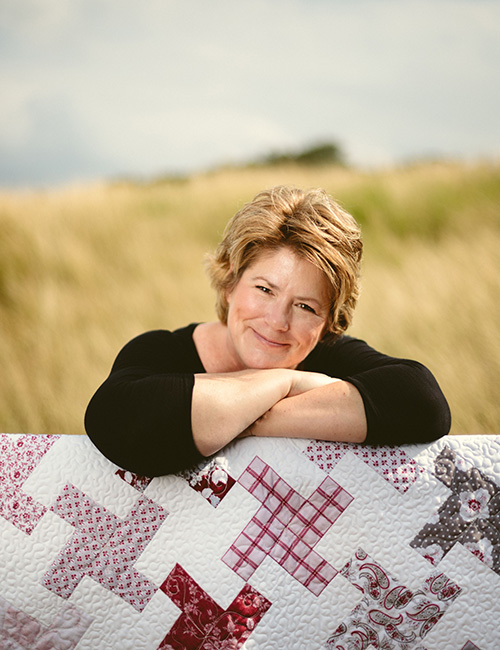 Published Author for It's Sew Emma "Quilted Living" released Fall 2014. Planted Seed Designs comes from that part of me that loves a classic, traditional look in fabrics and quilts. I try to capture that classic feel in my fabric designs by updating reproduction prints in colors and scales that work in today’s home décor. My quilt designs lean toward the classic, too, with an emphasis on stars and pinwheels, my two favorite block elements. Although I spend most of my time designing for Planted Seed Designs, I also enjoy designing outdoor spaces and garden beds and—unlike most people—finding ways to take the indoors out. If I’m not in the studio or in the garden, you might find me on a road trip with my husband, Eric, and our dog, Riley, heading off to visit one of our sons: Andrew and Josh in Austin or Michael in Indianapolis.